New Delhi: India’s auctions of third-generation (3G) and broadband wireless access (BWA) spectrum may be delayed at least until January, and beyond if necessary, because some sections of the government hold that the global economy hasn’t recovered enough and want potential bidders to be given more time to strengthen their balance sheets. Finance minister Pranab Mukherjee has told communications and information technology minister A. Raja not to rush the auction, according to another person familiar with the situation who didn’t want to be named. 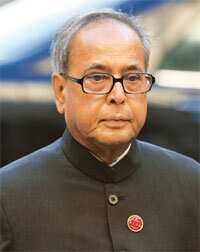 Mukherjee has budgeted for raising around Rs35,000 crore from the 3G auction. Internal calculations of the ministry and analysts suggest that the bids could go up by six times the reserve price of Rs3,500 crore, especially in the metropolitan cities and highly saturated telecom circles, or service areas. These could not be independently verified. “The telecom operators may need some time to get the necessary funds together for the auctions and they may need some time," a department of telecommunications (DoT) official said. “We will see what sense (of preparedness for the auction) we get from the pre-bid conference to be held soon and then decide," added this official, who also didn’t want to be named because he isn’t authorized to speak to the media. The empowered group of ministers (eGoM) ruled on pending issues, which had delayed the process by a year, such as the base price and the number of slots to auction on 27 August. Raja has said previously that the auction would take place within 90 days of the eGoM decision.